If you are considering membership in SCCYC, please visit the club during Officer of the Day hours, ask a member the club, or take a chance and just drop by. Or, contact our membership chair, Stu Coleman, and he will answer all questions you might have and he can meet at the club for a drink to chat about how SCCYC can be the perfect complement to your sailing lifestyle. For over seventy years, SCCYC has cultivated an active and personable membership. Membership is designed to encourage individual and family participation in a variety of activities, including yacht racing, cruising, social and educational events. The atmosphere is always casual and the objectives always the same… to enjoy! The Corinthian Club house is like a second home to its members. It is a come-as-you-are, self-service establishment, open 24 hours a day. Facilities include a stocked bar, cold beer and a comfortable lounge area. A one-ton hoist, mast-up dry storage, and guest slips are also available. Depending on the size of your boat, the Club’s Port Captain will assist new members in obtaining wet skips or dry storage space. While visiting neighboring ports, SCCYC members also have access to the facilities of other yacht clubs with “reciprocal” privileges. Social activities are spearheaded by the members, who plan numerous events offering fun, camaraderie and relaxation. The Beacon, SCCYC’s monthly newsletter, announces such events as boat hopping parties, sunset barbeques, karaoke nights and dinghy poker runs. Holiday parties at SCCYC have always been special events club members, their families and guests. 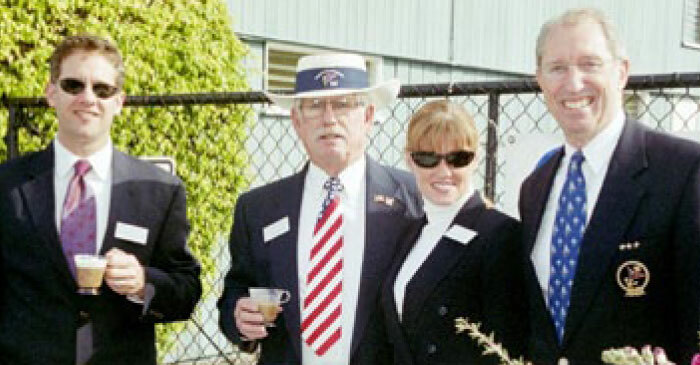 The Commodore’s installation dinner and the Opening Day Ceremonies are opportunities for SCCYC members to experience the annual traditions that make yacht club membership so unique. SCCYC is one of the major sponsors of races in the South bay area. Annual events include the Les Storrs Regatta, the Fletcher Memorial Race to Catalina, the Corinthian Cup race to King Harbor and Back, as well as one-design regattas. These regattas are held to test their skipper’s and crews’ determination, skill and training against the other boat’s luck. 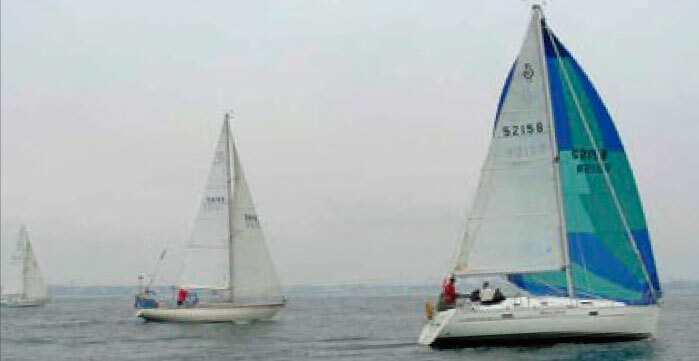 Current members race their boats in PHRF and Cruiser class races in boats from 20’ to 48’. The Club’s racing associations include: US Sailing, The Southern California Yachting Association, and the association of Santa Monica Bay Yacht Clubs. These affiliations give SCCYC members the opportunity to compete in races throughout California and the United States. Man or woman, novice or pro, SCCYC is proud of its racing heritage and the individuals that make it happen. SCCYC has always enthusiastically supported one-design racing. The “Outlook Trophy” race is the oldest and only Portsmouth handicapped regatta in Marina Del Rey. Throughout the year, SCCYC sponsors several regattas, including our “One-Design” weekend. SCCYC is also the the home of Lido 14, Open 5.70 and Coronado 15 fleets. SCCYC recognizes the international popularity of one-design racing and will continue to be one of the driving forces behind this fine sport in Marina Del Rey. Cruising is as popular with Club members as is racing. Sailboat and powerboat owners enjoy trips to Catalina, Paradise Cove, King Harbor and San Diego. The biggest annual cruise event is the Fletcher Memorial Cruise to Catalina Island. Friends from other clubs join us on the beach for a big breakfast bash prepared by our staff Commodores. General membership dinner meetings are generally held at 7:00pm on the 3rd or 4th weekend of every month. Informative programs include guest speakers, slide shows and instructional films on a wide range of subjects of interest to yachtistas. Prospective members are cordially invited to attend these meetings to become acquainted with the Club and see the facilities. In 1932, a hearty group of sailors sharing yachting and social interest founded the South Coast Corinthian Yacht Club. They launched their handmade boats over the sands of Santa Monica beach and had their membership meetings in ocean-front cabins. The facilities were minimal, the enthusiasm was great. A few years later, the club obtained a small meeting room located on the Santa Monica Pier. The popular boats of the day were Snipes and Six Meters. These were launched by crane at the end of the pier. By the late 1930s, SCCYC had joined the Southern California Yachting Association and sponsored the first Pacific Coast Championship Regatta in Santa Monica Bay. In 1961, SCCYC assisted in establishing the Association of Santa Monica Bay Yacht Clubs to promote and coordinate yachting activities in the bay area. The South Coast Corinthian Yacht Club Burgee eventually found a permanent berth in the sheltered waters of Marina Del Rey. In 1966, the Board of Directors commissioned the construction of SCCYC’s first Club House on Mindanao Way. The Corinthian Club House has become a part of the the thriving marina environment. Over the past few decade, SCCYC experienced several changes, but the Club has since moved back to it’s original facility overlooking “G” Basin. Membership in SCCYC is generally open to those who have a demonstrated interest in participating and promoting the development and enjoyment of yachting in all its aspects, including racing, cruising and social activities. While boat owners are welcomed to enjoy the many benefits to membership, non-boat owners will find friendly skippers to sail with, as well as an active social scene to share the joys of boating in Santa Monica Bay and beyond. The fact that we are a member-run volunteer club means that anyone can make a difference and everyone does. To read more about the benefits of club membership, download our informational brochure/application or contact our membership chair. Membership applications require three sponsoring members in good standing and an application fee of $120. Dues are quite reasonable at $58/month. And we make it easy with Auto-pay. No need to worry about invoices or mailing checks. It’s just like a utility or your public radio subscription.